Which country are you watching? Forget about the U.S., Europe, India and even China: the smart grid market is truly global, worth at least $27 billion and potentially $49 billion in emerging countries from Eastern Europe to Latin American to North Africa, according to a new study from Northeast Group. In nearly half of the 25 countries covered in the study, there are already smart grid deployments in the works in the next one to three years. These include Brazil, Bulgaria, the Czech Republic, Hungary, Mexico, Poland, Romania, Singapore, Slovakia, Slovenia, and the United Arab Emirates. For many of the countries, the drivers for smart meters make for a solid business case. Many have far less reliable grids than the U.S. or Europe, and are far below the reliability of countries like Japan or Korea. 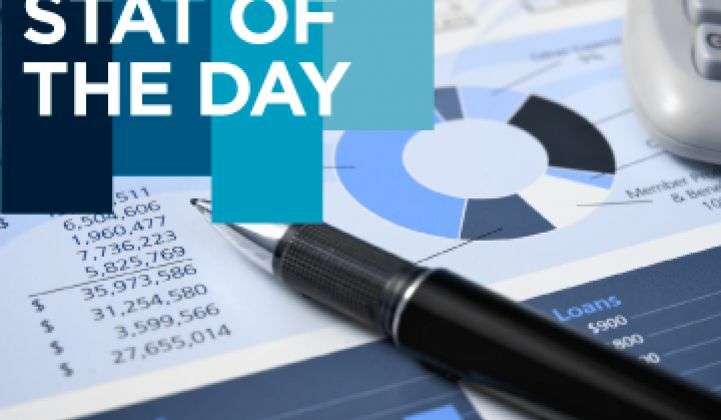 Latin America leads the group in distribution loss rate, with an average loss of 16 percent. Many suffer from high rates of electricity theft, an issue that was a driver for Enel’s early investment in smart metering in Italy. Although there are reliability issues, there is also surging demand for electricity. The average growth rate for the countries is more than four percent in the next few years, with Southeast Asia expected to grow at 5.7 percent, compared to 1.7 percent for North America, Western Europe and Japan. Brazil is the largest piece of the pie, with targets for about 65 million smart meters to be installed by 2021. Vendors are already jockeying for position in the market, with Echelon, Landis+Gyr, Silver Spring Networks, Itron and Cisco all making inroads and forming local partnerships. Mexico is second in line in the Latin American market, with an estimated 21 million smart meters to be installed by the end of the decade. As in the U.S., the study conducted by the Northeast Group found that advanced metering is likely to come before other smart grid projects such as distribution automation, substation automation and distributed generation projects. However, in some regions like Latin America, there is already a drive for substation and distribution automation to combat high loss rates. 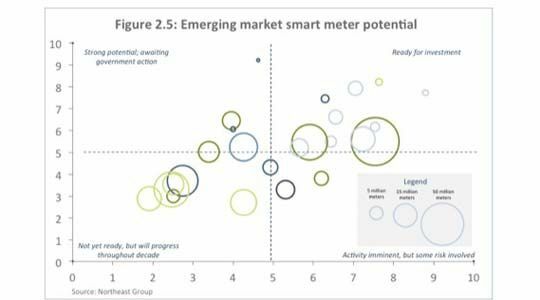 Also similar to more developed smart grid markets, government mandates are likely to be a key driver for the at least 113 million smart meters mandated to be in place across the 25 countries by 2020. In addition to Brazil’s target of 65 million smart meters, Central and Eastern European countries that are EU members have to meet the EU directive for 2020 that includes higher penetration of renewables, which could also be a driver for smart grid investment in distribution automation if the renewables are distributed. However, many Eastern European countries are still awaiting decisions about full smart meter directives. In the Czech Republic, for example, pilots that are underway could determine whether there is a national rollout, according to the GTM Research report The Smart Grid in Europe, 2012-2016. Currently, utilities in the Czech Republic are planning on installing one million meters in the coming years. The government mandates are not as strong in most of the Middle East for smart grid as they are in countries like Brazil, but the Northeast Group report noted that consumption rates in some Middle Eastern countries are already well above those of Western Europe. As such, the need for more efficient infrastructure and demand management will be key.